BACK ON THE MARKET DUE TO BUYER FINANCING! ELEGANT EXECUTIVE HOME. 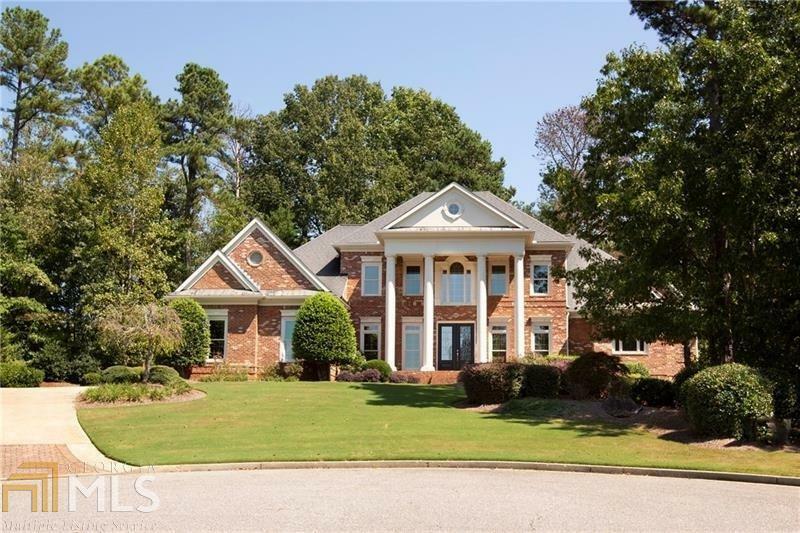 Stately Master on Main in Wexford at Woodmont Golf & Country Club is located on a beautiful almost acre in size cul-de-sac lot. Sophisticated Details Galore! The Massive Keeping Room Kitchen boasts a Large Island, Beautiful Granite Countertops & Custom Cabinetry open to the Keeping Room with Cozy Stone Fireplace. Beautiful Living Room with Built-in Bookcases makes a Perfect Library. Master Suite includes a Spa-like Master Bath + Separate Retreat. Cul-de-sac. Fenced. CREEKVIEW HS! CAN CLOSE QUICKLY! Directions: 575n To Exit 19 (Hwy 20), R Onto Hwy 20 To R Onto E. Cherokee To L Onto Gaddis (Entrance To Woodmont) To L Onto Arbor Hill To R Onto Windsor Green Drive (Entrance To The Wexford Section Of Woodmont) To L Onto Sturbridge Pines Lane.